St Margaret founds a monastery at Dunfermline with Benedictines from Canterbury. St David I, King of Scots, founds Urquhart Priory for Benedictines from Dunfermline. St David I founds Kinloss Abbey by Findhorn Bay for Cistercian monks from Melrose. Blessed Viard founds the Priory of Val des Choux. Abbey of Iona refounded for Benedictine monks. Alexander II, King of Scots. A rising in Moray by the MacWilliams put down by the Earl of Buchan. Three Valliscaulian monasteries established in Scotland: King Alexander II founds Pluscarden Priory, John Byset of Lovat founds Beauly Priory, Duncan McDougall founds Ardchattan Priory on Loch Etive.
? John Frer, Prior of Pluscarden.
? John Suryass, Prior of Pluscarden. Bull of Pope Urban IV confirming and protecting the privileges of Pluscarden. Andrew, Prior of Pluscarden, later Abbot of Kinloss. William, Prior of Pluscarden. Bagimond's Tax Roll, Pluscarden assessed for £533 annual income. Edward I of England in Moray, based at Kinloss Abbey. John Wise, Prior of Pluscarden. Thomas Fullonis, Prior of Pluscarden. The Wolf of Badenoch burns Forres and Elgin, and probably Pluscarden. Alexander of Pluscarden, Prior of Pluscarden. Eoghann MacPheadair, Prior of Pluscarden. David Cran, monk of Deer briefly intruded as Prior of Pluscarden. Andrew Symson, monk of Deer, Prior of Pluscarden. Richard Lundy, monk of Melrose, provided as Prior of Pluscarden but did not take up the office. The monks of Pluscarden elect William Birnie, one of their number, as Prior, this was challenged by Symson and the law suit continued until 1439. William Hagis, monk of Pluscarden, elected Prior of Pluscarden. Election disputed by William Birnie. Union of Pluscarden with Urquhart, by the Papal Bull Ad apicem. John Bonally, monk of Dunfermline and Prior of Urquhart, Prior of Pluscarden. William Boyce, monk of Dunfermline, Prior of Pluscarden. The Liber Pluscardensis written at the Priory. Thomas Foster, monk of Dunfermline, Prior of Pluscarden. Gavin Dunbar, cleric of Moray Diocese, attempts to become Prior of Pluscarden. David Boyce, monk of Arbroath, Prior of Pluscarden, although Robert Harrower, monk of Dunfermline, had been elected by the community. Robert Harrower, Prior of Pluscarden. King James IV visits Pluscarden. George Learmonth, cleric of St Andrews Diocese, Prior of Pluscarden, having become a monk. Gavin Dunbar, Dean of Moray, becomes Bishop of Aberdeen. George Learmonth, Prior of Pluscarden provided as coadjutor to Gavin Dunbar, Bishop of Aberdeen. Alexander Dunbar, canon of Ross Diocese, Prior of Pluscarden, having become a monk. George Learmonth dies in March, a year before Bishop Gavin Dunbar. Three of Prior Alexander's sons legitimated. The 'Bloody Vespers' in Elgin Cathedral. 19th September: death of Prior Alexander Dunbar. Master William Cranston, Prior of Pluscarden 1561-2. George, 5th Lord Seton, Yconomus of Pluscarden. Alexander Seton, Prior of Pluscarden. George Seton helps Mary, Queen of Scots, escape from Lochleven castle. Alexander Seton sent to the Jesuits in Rome for education. Alexander Seton deprived of Pluscarden for not conforming to Protestantism. James Douglas intruded as Prior of Pluscarden. Pluscarden erected into a temporal lordship, Alexander Seton becomes Lord Urquhart. Kenneth Mackenzie of Kintail, lay-Prior of Pluscarden. Colin Mackenzie, 2nd Lord Kintail, lay-Prior of Pluscarden. Thomas Mackenzie of Kintail, lay-Prior of Pluscarden. Sir George Mackenzie of Tarbet, lay-Prior of Pluscarden. Sir George Mackenzie, lay-Prior of Pluscarden. George Sinclair, Earl of Caithness, and Major George Bateman lay-Priors of Pluscarden. Major George Bateman, sole lay-Prior of Pluscarden. James Grant of Grant, lay-Prior of Pluscarden. William Duff of Dipple, later 1st Earl of Fife, lay-Prior of Pluscarden. James, 2nd Earl of Fife, lay-Prior of Pluscarden. Alexander, 3rd Earl of Fife, lay-Prior of Pluscarden. James, 4th Earl of Fife, lay-Prior of Pluscarden. James, 5th Earl of Fife, lay-Prior of Pluscarden. Alexander, 6th Earl & 1st Duke of Fife, lay-Prior of Pluscarden. John Patrick, 3rd Marquess of Bute, lay-Prior of Pluscarden. Aelred Carlyle founds an Anglican Benedictine community. Lord Colum Crichton-Stuart, lay-Prior of Pluscarden. Abbot Aelred Carlyle and the monks of Caldey received into the Catholic Church. Dom Benedict Steuart, titular Prior of Pluscarden. Dom Brendan McHugh 1950 (Local Superior and acting Prior). 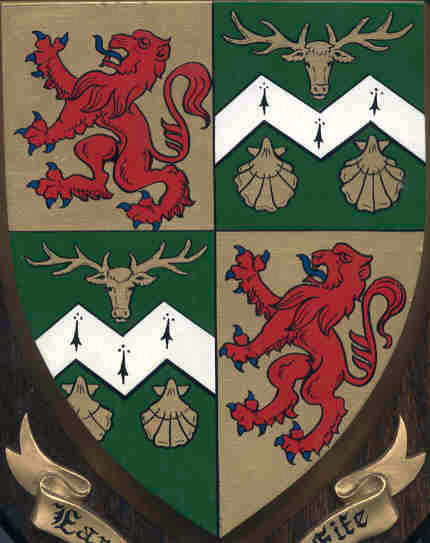 Dom Wilfred Upson, Abbot of Prinknash (1938-1963) declared de jure Prior of Pluscarden by the Lord Lyon, King of Arms. Dom Norbert Cowin (Local Superior and acting Prior). Dom Columba Wynne (Local Superior and acting Prior). Pluscarden becomes an independent conventual Priory. Dom Alfred Spencer, Conventual Prior. Rt Rev Dom Alfred Spencer, 1st Abbot of Pluscarden. Rt Rev Dom Hugh Gilbert, 2nd Abbot of Pluscarden. Rt Rev Dom Anselm Atkinson, 3rd Abbot of Pluscarden.